Because shocked, I am. Shocked, I tell you. The abuse of women in the entertainment industry is as age-old as the industry itself. That doesn’t make it OK. Not at all. It has always been deplorable. It has also, however, been as commonplace as mildew in an industry that is based on power, appearance, and money. Tippi Hedren shared after Alfred Hitchcock’s death that her star turn in “The Birds” had come after her horizontal turn on the proverbial casting couch. She was far from alone. Bette Davis allegedly used her feminine wiles on Bob Aldrich during the filming of “Whatever Happened to Baby Jane?” to ensure her superiority over co-star and real-life rival Joan Crawford. The list is unfortunately endless, and includes plenty of modern stars who have kept their mouths shut. Learning that a Hollywood producer had exploited his ability to cast, refer, pay, hire, promote or otherwise advance actresses to achieve sexual gratification is about as surprising as it is that the sky is blue. Again, that doesn’t make it OK. Far from it. The sexual exploitation of anyone is as deplorable – implied pun intended – as it is that any holder of the Oval Office, whether named Clinton or Trump, would abuse power to … well … get off. What is equally deplorable – and decide for yourselves if the pun is intended – is that anyone is politicizing the issue of sexual harassment and abuse. It’s as awful (to use a synonym) as sexualizing politics, which should never be about anything but public service. 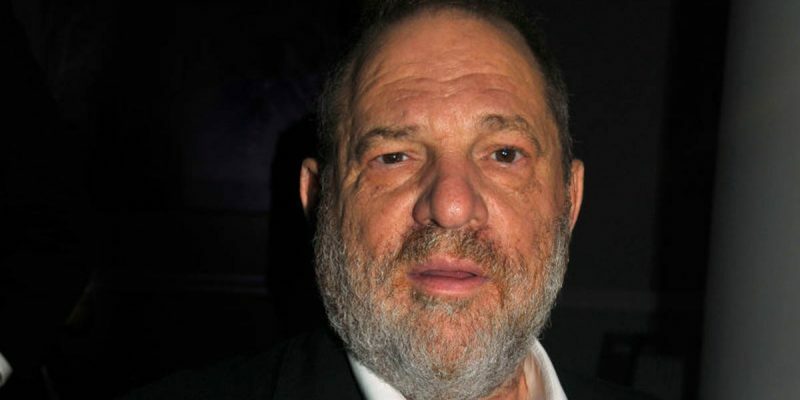 On Tuesday, I heard audio of Weinstein trying to coerce someone – I didn’t catch who – into his hotel room. The dialogue was inappropriate, to say the least. His words were those of an experienced predator. Was he “entrapped?” Not hardly, at least not in the case I heard. Is he an exploitative pig? Yes, based on what I heard. None of this, however, should be a political issue. When we politicize the abuse of women, we cheapen it. When we politicize the abuse of anyone, we cheapen it. We debase those on the receiving end of such. Fellow conservatives, we embrace law and order. We embrace equal treatment under the law. We can slam Bill Clinton all we want for the late 1990s scandal that nearly cost him his presidency. We can slam the current POTUS for his “grab them by the …” comment until we’re nauseous from the effort. It’s just not OK.
We on the Right have continually said, for years, that we do NOT devalue women. We do NOT condone the abuse of power. We do NOT turn away when anyone is abused for the advancement of wealth, privilege, or political gain. So, now, shut up about Weinstein raising money for the Clintons. It doesn’t matter at this point, in this case. Those on the Left (if any of you read this website) shut up about 45’s very wrong statements about women. They were wrong, they were awful, he is still POTUS. Those things don’t matter right now. None of the involved are named Harvey Weinstein. This alleged perpetrator and abuser is. It’s not about anyone but him and his alleged victims. Those named Clinton and Trump are not involved here. If the allegations are true, as they seem to be, let the victims claim it for themselves. If they’re not, let the system in which we believe play it out. To the rest of us, this is a distraction. I’m changing the channel now. Y’all should, too.